Information security has quickly emerged as one of the leading areas of concern and importance in the ever-changing technology landscape. 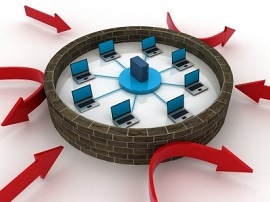 In 2013, IT Security spending is expected to increase by 37% over its previous staggering sum of $2.7 billion in 2012. From root-kits (a stealthy type of software, often malicious) to trojans (software that looks like it is doing what the user thought, but is actually malware designed to infect the user’s PC) to denial-of-service bots, it is more critical than ever that corporate security is robust and easily manageable. At The LCO Group, we take IT Security very seriously. We regularly perform penetration tests for commercial banks, security and exposure analysis for financial service and law firms, and do security overview and policy documentation for general business service companies. Don’t wait until it’s too late to take your IT Security seriously. Let The LCO Group help you lock-down your systems today!